The psychopathic symbiote steals the spotlight! Cletus Kasady takes his killing spree on the road — including bloody showdowns with his “daddy” Venom, his “son” Toxin, and Deadpool! The Avengers attempt to spare the American heartland from Kasady, but who will save the Microverse? How about Scarlet Spider and a new Venom, Flash Thompson? 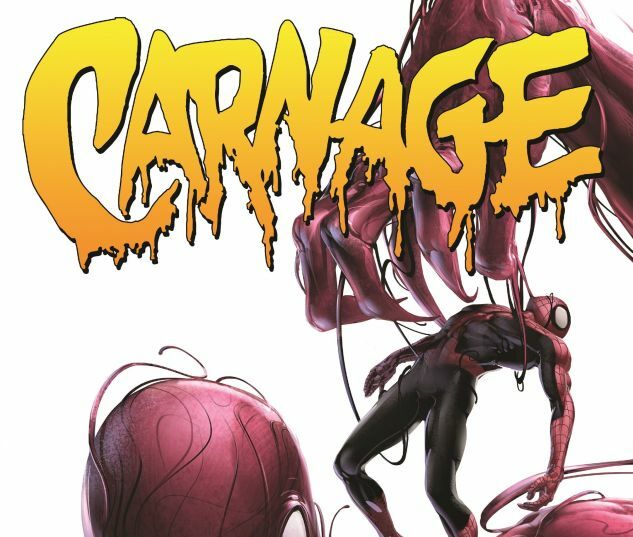 Then, the Wizard makes Carnage superior, and Axis makes him…a hero?! 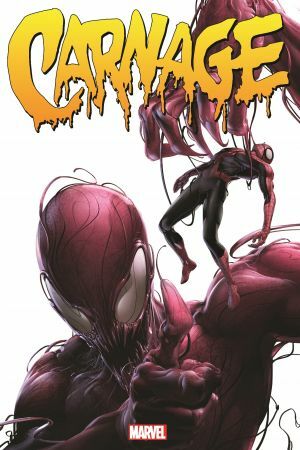 And Kasady leads the FBI, Man-Wolf and Eddie Brock on a monstrous chase around the globe...but can they stop him from raising the elder god Chthon? Collecting VENOM VS. CARNAGE #1-4, CARNAGE (2010) #1-5, CARNAGE U.S.A. #1-5, MINIMUM CARNAGE: ALPHA and OMEGA, SCARLET SPIDER (2012) #10-11, VENOM (2011) #26-27, SUPERIOR CARNAGE #1-5 and ANNUAL #1, DEADPOOL VS. CARNAGE #1-4, AXIS: CARNAGE #1-3, NOVA (2013) #26-27, CARNAGE (2015) #1-16 and material from ALL-NEW, ALL-DIFFERENT POINT ONE.